This section is dedicated to the R.A.F. Fire Float and the Aerokits Crash Tenders, the popular iconic and timeless boats that have been the foundation of this website. 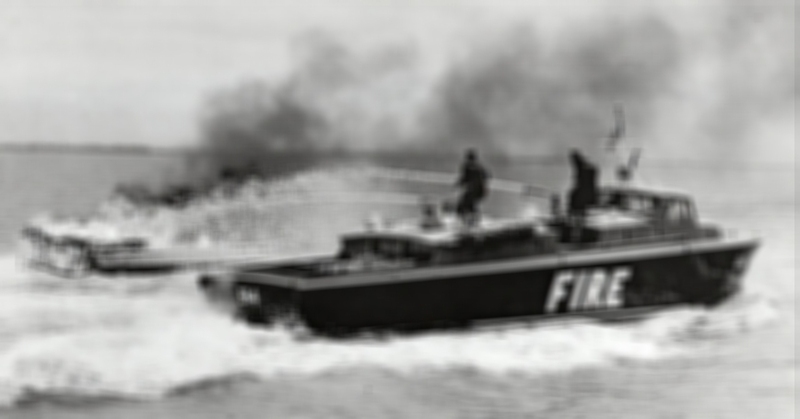 The history of these boats is all explained here along with various pieces of information for the Fireboat enthusiasts who want to re-create the original craft or at least know a little more about it. 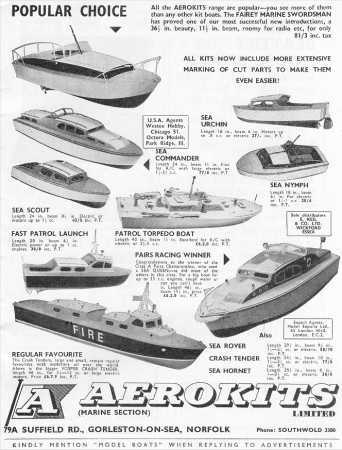 It covers both the full size original 93 and 94 fire boats and also the aerokit models introduced around the mid 1950's. 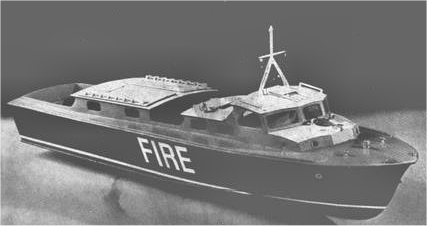 Right, I'll begin with the original fire boat since this is where everything really did start off. 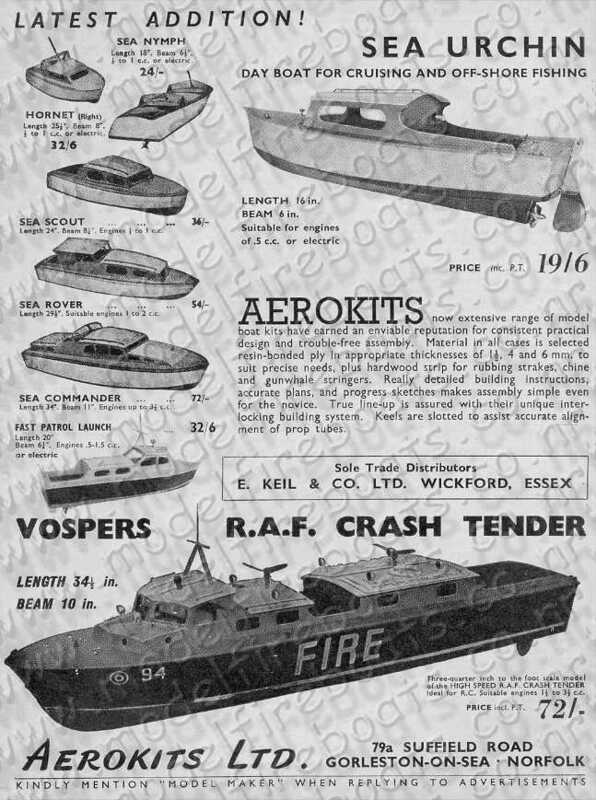 The original craft was designed for the rescue of personnel from crashed or burning flying boats or surface craft. 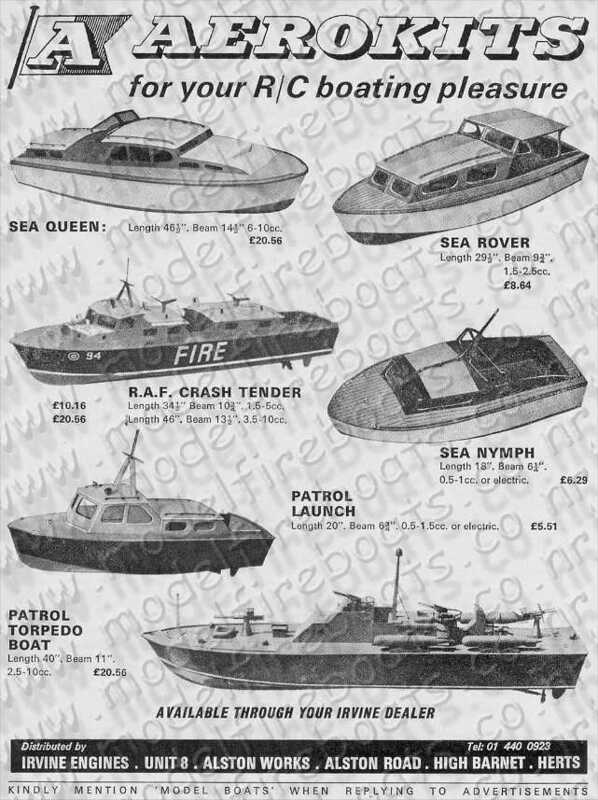 The Crash Rescue Tenders were also designed for extinguishing fires in these craft or for salvage pumping. 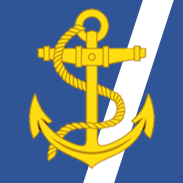 The first boats were built by Vosper, Ltd. in Portsmouth under a Ministry of supply contract; they were fast 46 footers with a constant speed of 28 knots. 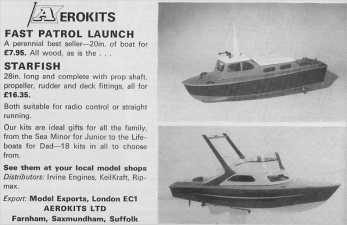 The two main engines were Rover Meteorite petrol units which each developed 375 h.p. and ran at 2,400 r.p.m. The craft had Mathway hydraulically operated reverse gearboxes which meant that when reverse gear was selected the craft could stop in its own length. 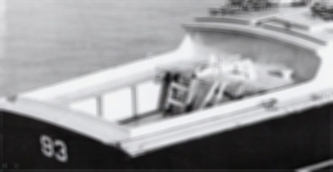 Both engines rotated anti-clockwise and were controlled from the wheel house. 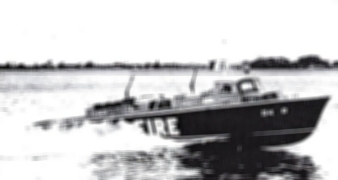 Fire fighting was carried out by hand-operated monitors suitable for foam or water; both were fitted with a hinged one inch nozzle for use with water. The water was pumped using a Ford V8 engine which drove a rotary vane pump, this was designed to deliver between 2,250 and 2,500 gallons-per-minute of foam or 500 to 600 gallons-per-minute of water. The same pump was used for salvage pumping; it was connected up to suction hoses with the water being discharged out of the monitors. 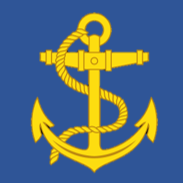 A spring loaded towing hook was fitted abaft the engine room and was designed for towing a flying boat; it had an overload release of 10,000 lb. The craft carried other rescue equipment such as line-throwing rockets, crash ladders, breaking in tools, stretchers and a deck davit with winch. 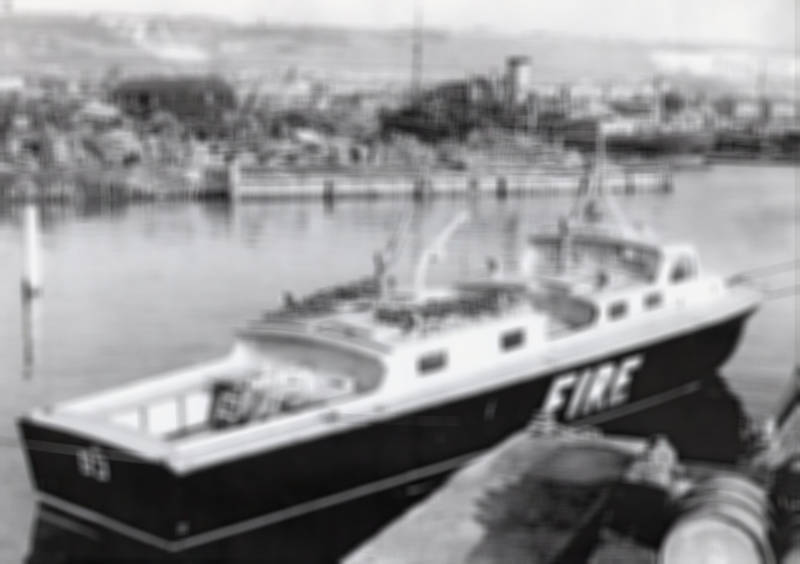 The whole design of this craft was to allow the crew to get the task done quickly and effectively, therefore the working space on the deck was maximised. 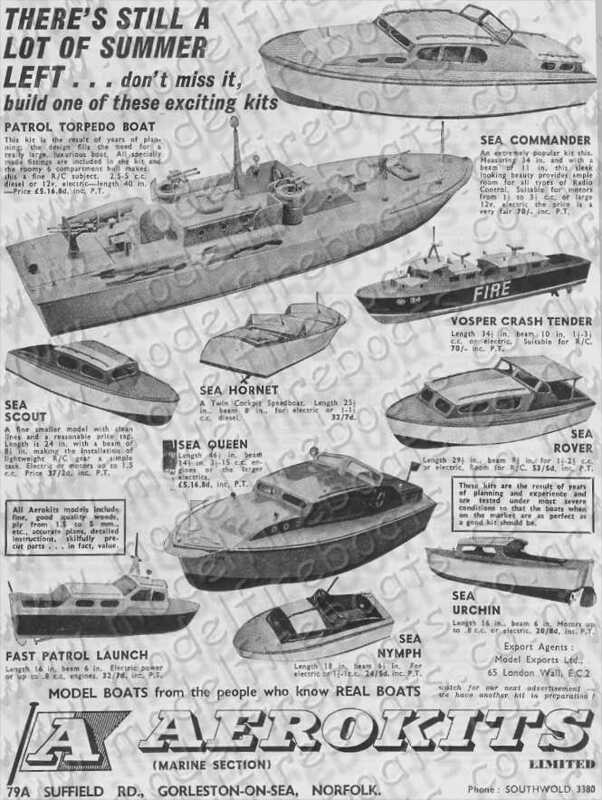 The hull was decked in except after the cockpit, raised casings were provided over the engine room, sick bay and fore cabin which also meant there was reasonable head room below. Water tight bulkheads separated the fore peak from the fore cabin and were also positioned at each end of the engine room. The fore peak was designed as an anchor cable locker sealed off by another water tight panel. 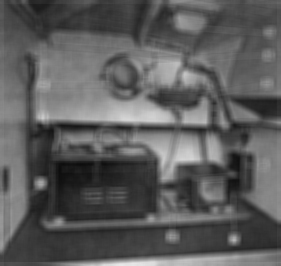 The wheelhouse had a raised floor which was positioned between the galley and the sick bay. 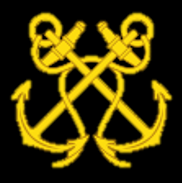 The helmsman was positioned on the centre line where there was an all round view, the front window had a Kent Clear View screen which maintained clear even in bad weather. 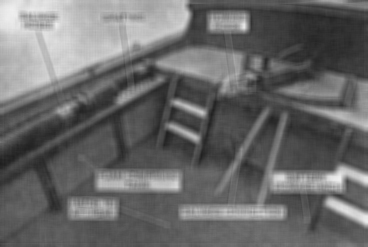 There was a control for an 11 inch search light in the roof above and the radio equipment was mounted on a shelf on the port side. The sick bay which was just before the wheelhouse had a settee on each side; the roofs of both the wheelhouse and the sickbay were heat insulated with Isoflex. 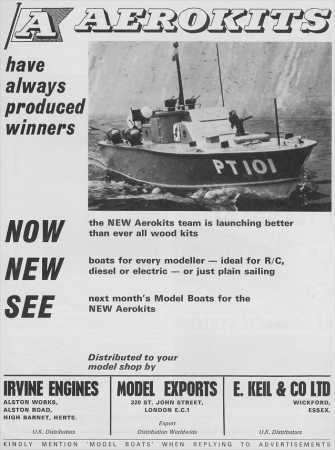 The windows on this craft were all made of Perspex. 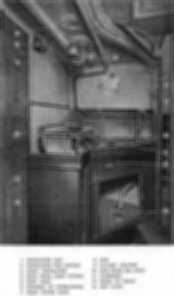 The cockpit was designed with a flat over the after peak, foam compound tanks were fitted along each side and stowage was provided for the deck equipment or boxes that contain various crash equipment and flares. Batteries were stored in the after peak. The steering was a positive cam type which operated two rudders, the blades and stocks were made of nickel aluminium bronze which was cast into one piece, the bearings and glands were made of similar metal. 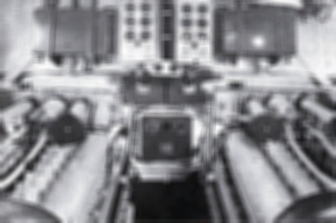 The two engines were mounted on strong and durable sub frames. They were the dry sump type and included fresh water cooling; flaps were used on the outlets to prevent the ingress of water. 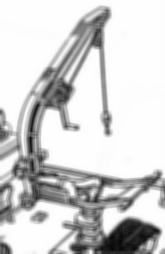 The sub frame also carried a lubricating oil service tank, oil filters, oil thermostat and a combined oil and water cooler. The whole assembly was built so that it could be lifted in and out as a single unit. 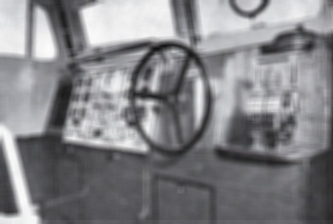 A Silent bloc flexible coupling connected each engine to the propeller shaft; these were lubricated by circulating water bled from the engine seawater system. The shafts were made out of Monel metal and the brackets were made of aluminium bronze with cutless bearings. There was one main fuel tank with a capacity of 265 gallons; this was fitted in a gas tight compartment between the engine room and sick bay. 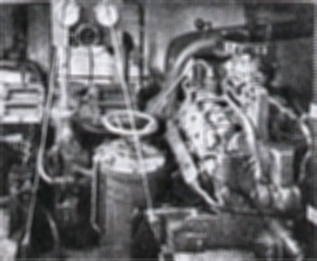 A 288 watt, 32 volt electric generator was mounted on a shelf at the starboard end of the engine room, this was a J.A.P. 2A petrol engine. This engine was fed from the 7 gallon fuel tank which was fitted on after the bulk head. The same fuel tank also supplied the Ford V8 pumping engine, this engine also drove a gear type bilge pump. An identical generator is owned by one of the members of this website, so many thanks to James Price for the photos. There were two batteries, each rated at 12 volts, 100 A/h arranged in series, these were combined with two 24 volt dynamo's driven by each main engine. Was there An MKI Version? 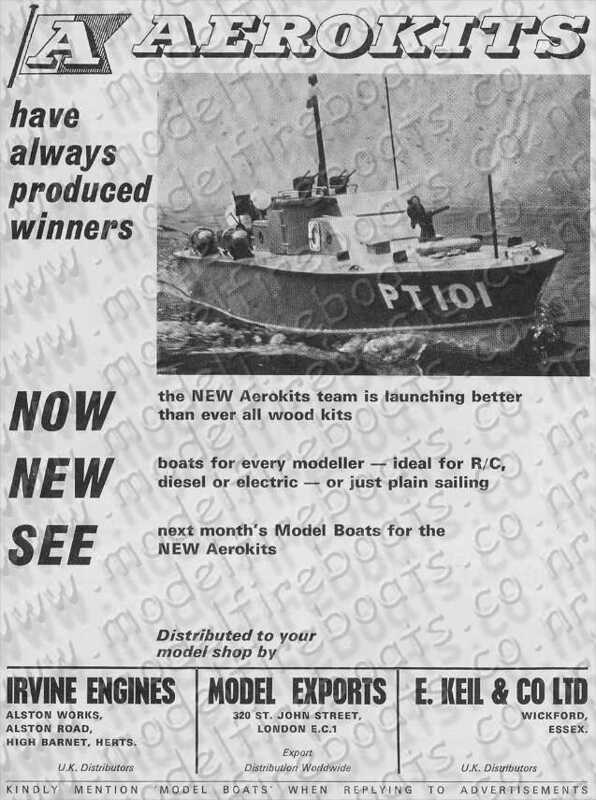 The other question that has been asked about these boats is whether there was an MKI version of the craft. All though there is no proof about an MKI version some drawings have been found, these drawings (seen here) were unnumbered, undated poor copies of a Vosper craft. They have a great resemblance of the MKII version but for a few clear differences. 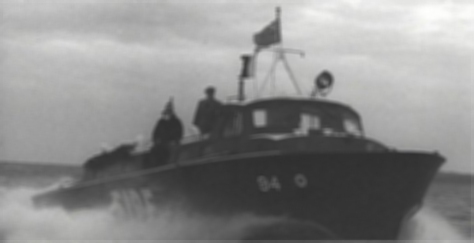 This craft only had one monitor which might have been insufficient to meet requirements; the craft had a larger engine room and a slightly larger section amidships. 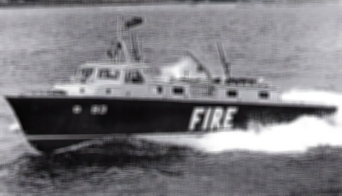 The front of the craft remains very similar to that of both fire boats 93 and 94. 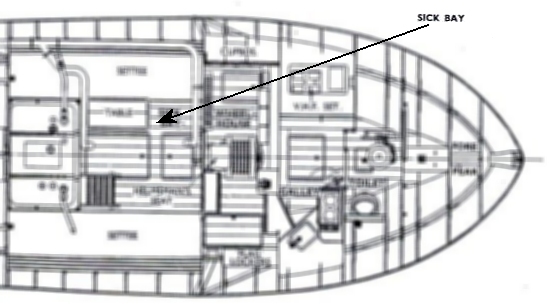 The internal layout of this craft is slightly different to the MKII version in that the location of the WC and galley vary, however the forward mess area is quite similar. The drawing also states that the craft would have been powered by twin Rover Meteorite MKIV engines. 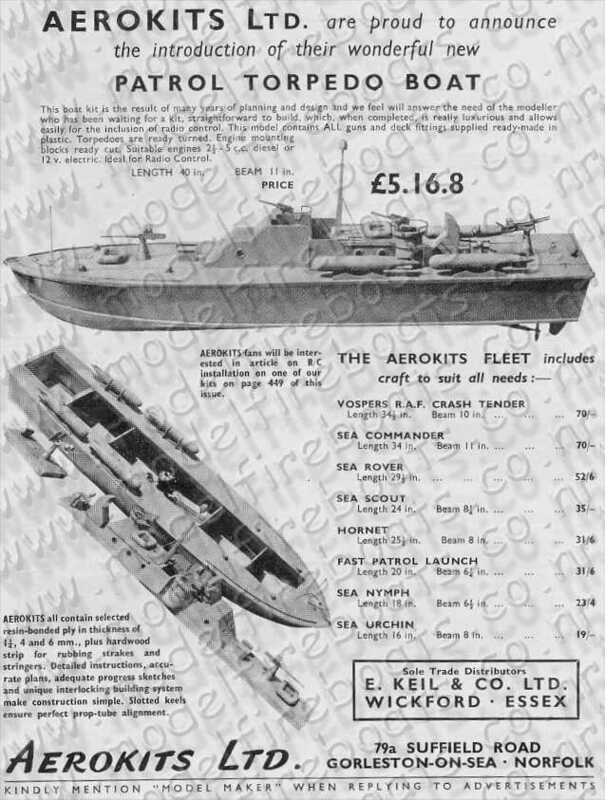 It is possible that this version of the craft did not have sufficient working area in the deck to meet R.A.F. 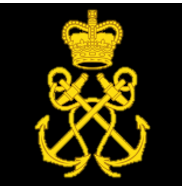 requirements; this point was made with the MKII craft. 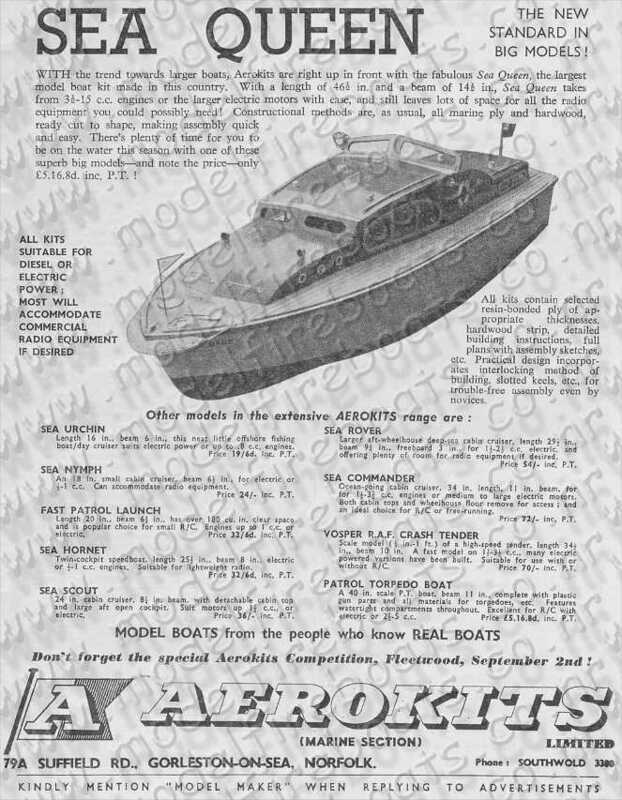 The Aerokits range of boats were designed by Les Rowell and manufactured from the mid 1950's to c1970. They were all of a similar hard chine design constructed mainly from plywood. 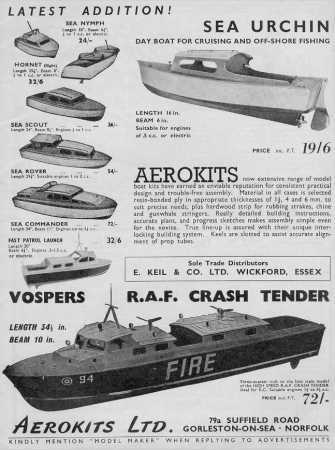 These models were established at Gorleston in Norfolk and distributed by Keil Kraft at Wickford in Essex. 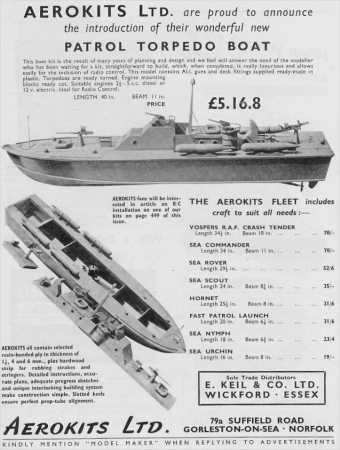 There were two types of models produced, a 34 inch version introduced around the mid 1950's (probably the most popular) and a 46 inch version introduced in 1966. 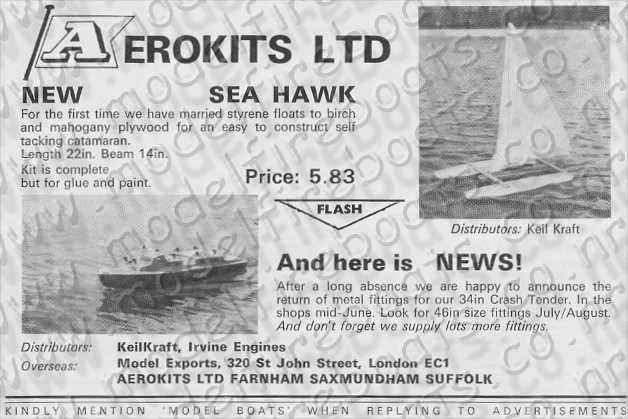 (Left) Aerokits Crash Tender as seen on the box lid of the original kit. 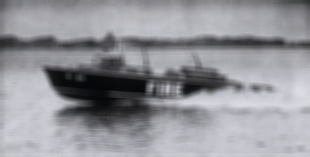 This fine HIGH SPEED VOSPER R.A.F. 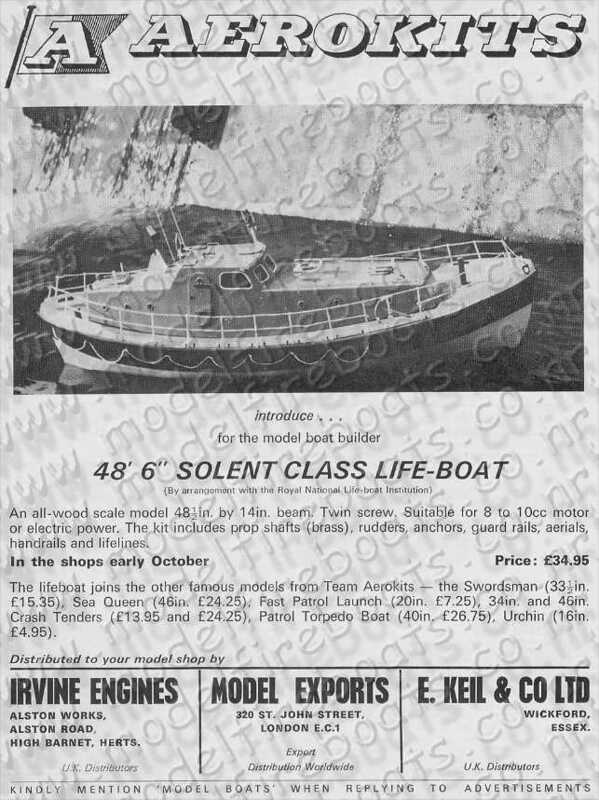 CRASH TENDER makes up into a magnificent model 34 in. 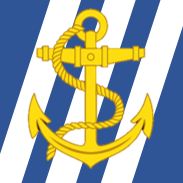 l.o.a. 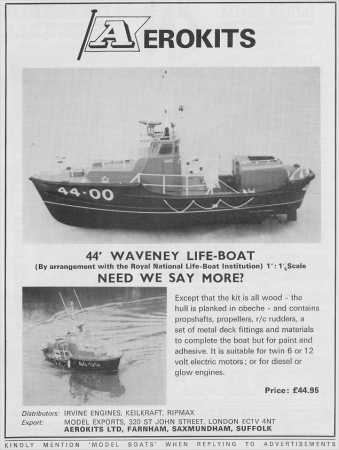 with a beam of 10 in., thus providing a scale model of truly seaworthy proportions, ideal for Radio Control installation. Forward and central cabin tops lift off for access, as does rear cockpit floor. It is thus possible to have r/c installation and steering motor quite separate and apart from the central cabin "engine room". Completely cut out pre-fabricated parts make assembly simple without elaborate tools or jigs and the model can be made by any enthusiast with a minimum of experience. 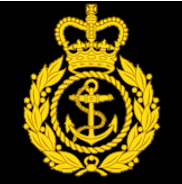 Quality of materials and elegance of design make it a model that will be worthy of attention to detail fittings in the way of foam monitors, ventilators, lifebelts, anchor, searchlight etc., so that it can be launched with pride as the finest on the water. This craft came with full build instructions and parts list. 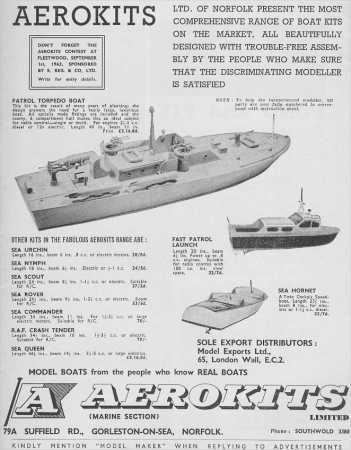 The model was also featured in the Model Boats magazine as the best model to choose for "complete novices". 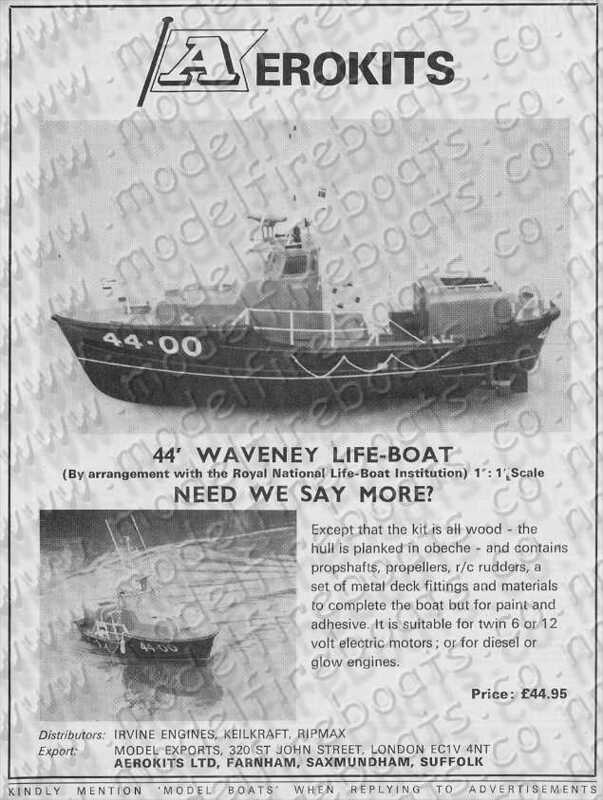 This kit can still be bought from various online model shops (not made by Aerokits of course), for those of you who are looking for a fireboat half or fully built its always a good idea to keep an eye out on Ebay. Scale model in two sizes that is ideal for radio control. For 2.5 c.c. to 5 c.c. Scale model of the famous racing boat by Fairey Marine. For 1.5 to 5 c.c. engines. A comprehensive model that is perfect for radio control. All guns and deck fittings ready-made. For 2.5 to 5 c.c. engines or 12 volt electric motors. 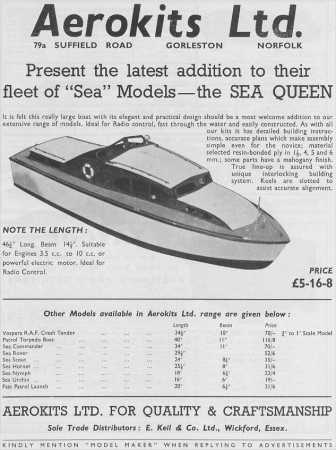 Sea Commander, the ocean going cabin cruiser for radio control or free running. 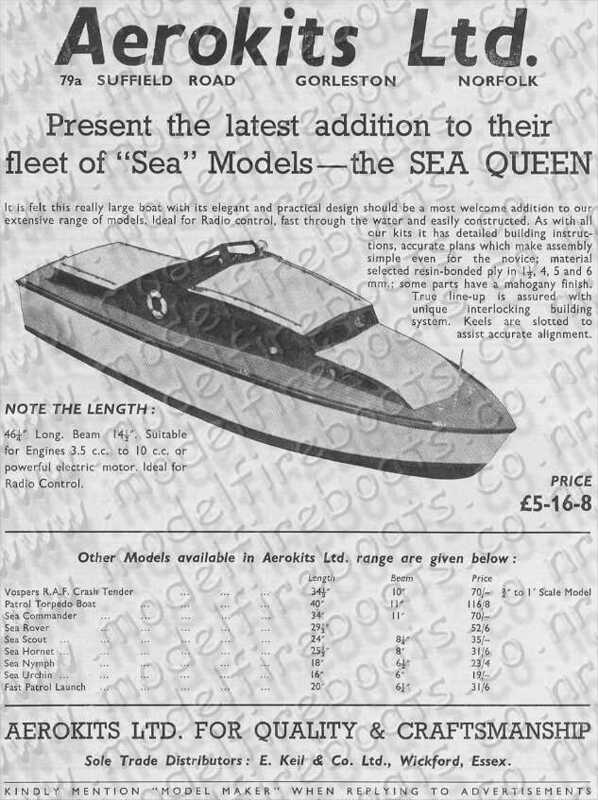 Also the big sister ship the Sea Queen a large cabin cruiser with ample space for multi-control radio equipment. For engines up to 3.5 c.c. For 3.5 c.c. to 10 c.c. engines. Attractive looking boat that performs really well. For 0.5 to 1 c.c. engines or electric motors. Day Cruiser with open rear cockpit and removable cabin roof. Very popular model that is easy and quick to build. Cabin Cruiser with removing cabin roof and open rear cockpit. 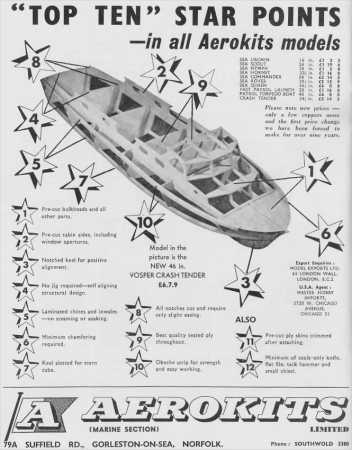 A racy speed boat of very strong construction. 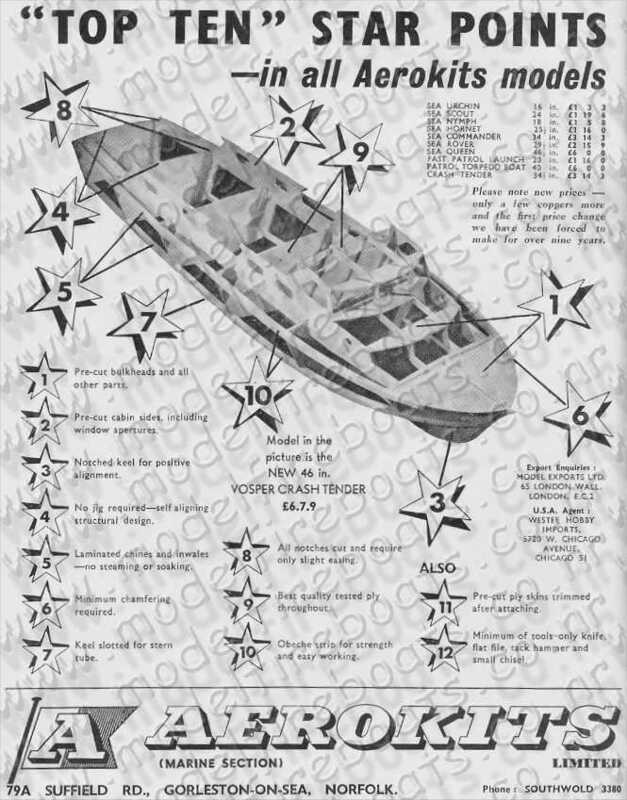 Large cabin cruiser for radio control or free running. For 1 to 2 c.c. engines. Suitable for radio control or straight running. An all-wood scale model. Twin screw. Suitable for 8 to 10 c.c. motor or electric power. 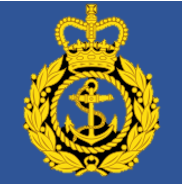 By arrangement with the Royal National Life-Boat Institution. 6 or 12 volt electric motors or diesel / glow engines. 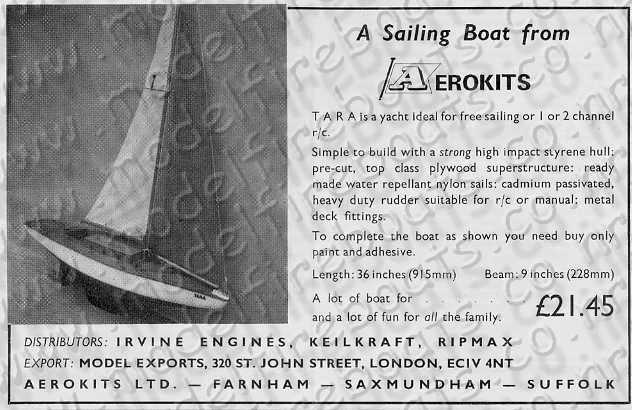 Yacht ideal for free sailing or 1 or 2 channel r/c. Easy to construct self tacking catamaran. 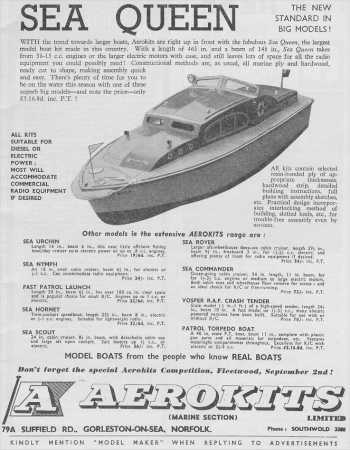 Below are various Aerokit articles that were published in a vintage model boats magazine, the years range from 1958 to 1978. Click on any of these articles to enlarge the image! 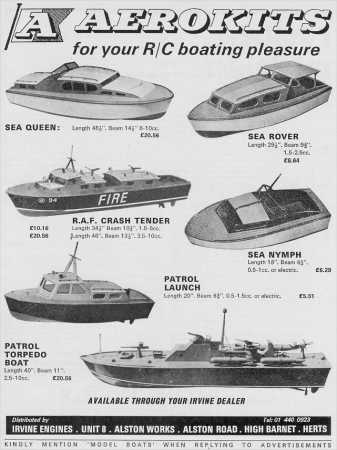 Below are a variety of different pictures, plans and photos that may be of interest if you are in the process of building a Fire Boat which you want to look like the original.